Money problems are a huge concern for a lot of people. Unfortunately, figuring out how to solve your money problems can be a difficult, time consuming process. With the huge debt load so many people carry, money issues are a problem that just never seems to go away. 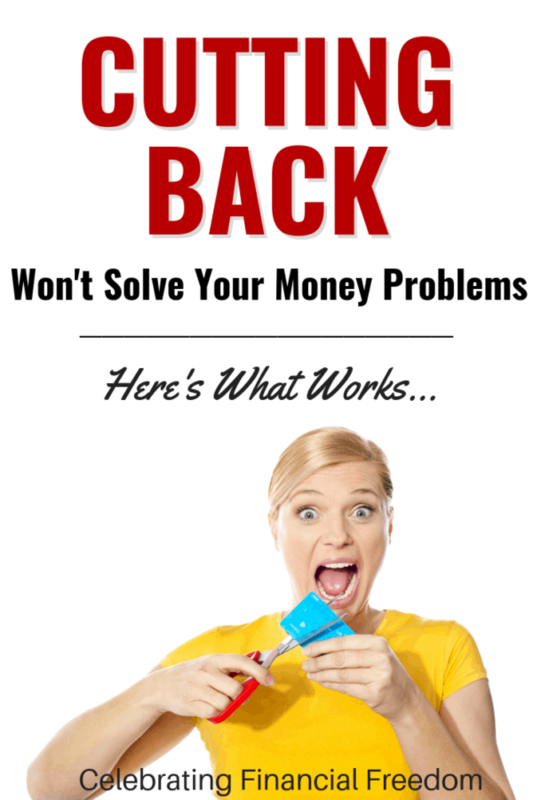 In this article, I'll show you the typical causes of money problems, why cutting back won't solve your financial problems, and give you some practical tips you can use to solve your money problems forever! So when most people start experiencing financial issues, what is the first thing they usually do? They start cutting back on expenses like cable TV, fancy coffee, meals at restaurants, and other things to save money quickly. Less money being spent means more money in the family wallet. This is what virtually every personal finance guru recommends as a first step in tackling money problems. 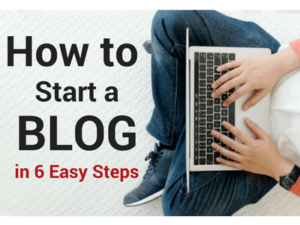 However, this initial step is where too many people stop. They never really take the further steps necessary to eliminating money problems forever. It's not all that difficult to cut back your spending on some items, but where does that really get you? Sure, cutting back on expenses can put you in a slightly better financial position. However, the heart of the problem is usually much deeper than cutting back on lattes' and nail appointments can fully solve. So what should you do if you have one or both of these problems? First, recognize that cutting back is a good first step, but it won't completely solve your money problem permanently. If cutting back on expenses is all that you do, you're doing nothing more than putting a bandaid on a situation that really needs surgery. Next, understand that you need a solid plan in place to tackle the real source of your money problems. Two of the best things you can do is to tackle your debt, and find ways to increase your income. If debt is part of your money problem, the first thing you should do is start keeping track of every dollar using a written budget. In fact, whether you have debt or not, budgeting is the foundation to any solid financial plan. 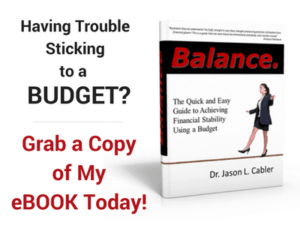 A good budget is the most effective way to keep track and understand your money so you can exert total control over it. Angie and I have been out of debt for over a decade, and we do a written budget every single month without fail! Once you have a budget in place, then you can start tackling your debt. Put together a written get out of debt plan that acts as your roadmap to eliminate your debt problem for good. 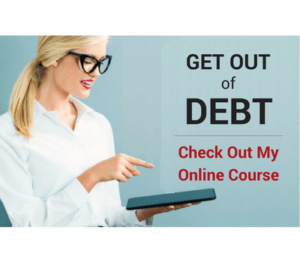 I know it sounds a little intimidating, but anyone can get out of debt. Yes, it takes some time and effort. But the benefits of getting out of debt are a thousand times better than dealing with constant money problems. Below is a link to the best, most complete post I've ever written about how to get out of debt. It shows you every single step you need to solve your money problems forever! If you have cut expenses, started budgeting, and you're income still isn't enough, your money problems may be rooted in the need for more income. It's not unusual to bust your hump for more than 40 hours a week, and still not make enough to get by. If that's the case, you need to find a way to make more money. Switch to a new career with better money making potential. Start a side business related to your present career. Find a new job in your profession that makes more money. Start a side gig using talents/skills you already have. Find new ways to serve in your present job, and earn more pay because of it. Work lots of overtime if possible. Develop new skills that increase your earning potential. The great thing about increasing your income is that it will supercharge the process of getting out of debt. Also, once you start doing it, you discover it's not necessarily as hard as you thought it would be. You're more likely to continue earning more once you get started. Below are some excellent resources I recommend that will help you find ways to make more money, start a side business, or find a high earning career you can be passionate about. Personal Capital: The best FREE money management tool available- Manage all your financial accounts in one convenient dashboard! “48 Days to the Work You Love- Preparing for the New Normal” by Dan Miller. At the end of the day, cutting back on latte's will not solve your money problems. It takes much more effort and planning to get the job done the right way when you're struggling financially. But when you have a good plan that tackles the heart of your money problems, you WILL start to turn things around. Question: Have you ever cut back on your expenses, only to find that this didn't totally solve your problem? Tell me about it in the comments. I'd love to hear about your experience.